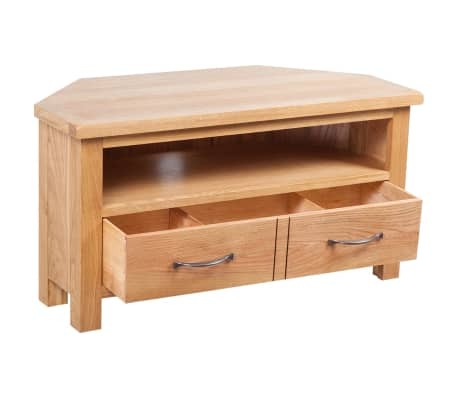 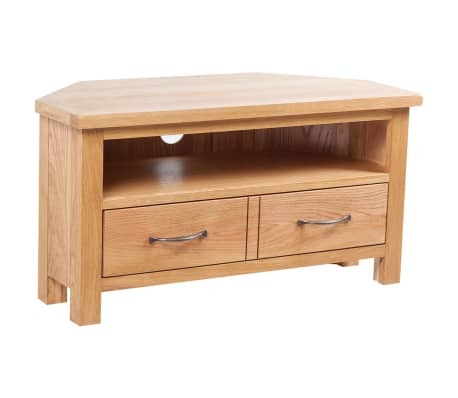 vidaXL TV Cabinet with Drawer Oak 34.6"x16.5"x18.1"
This high-quality TV cabinet has a rustic look and feel that will suit any bedroom or living room. 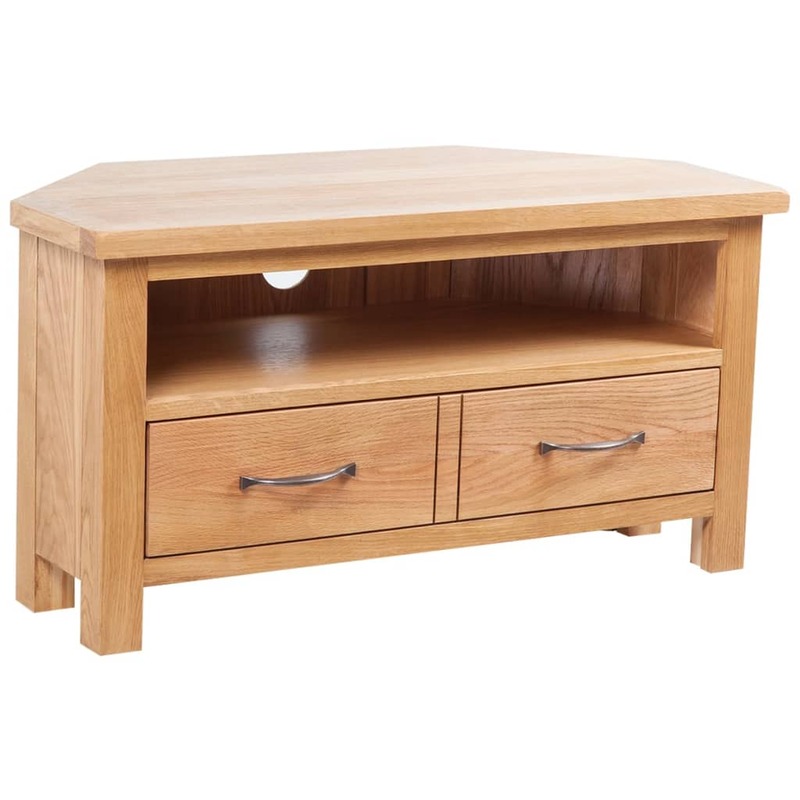 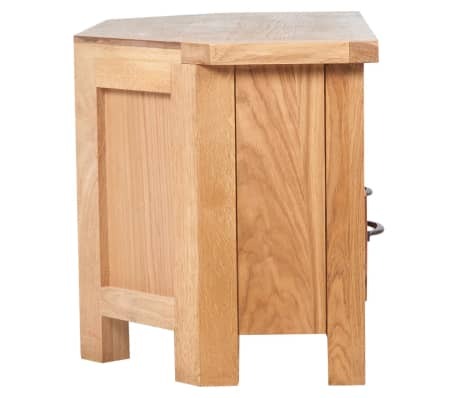 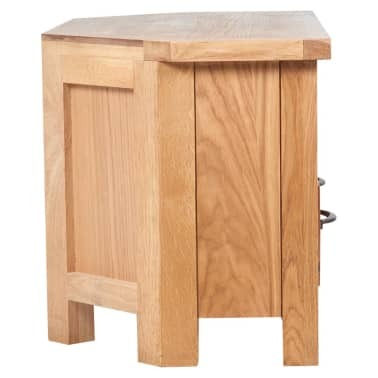 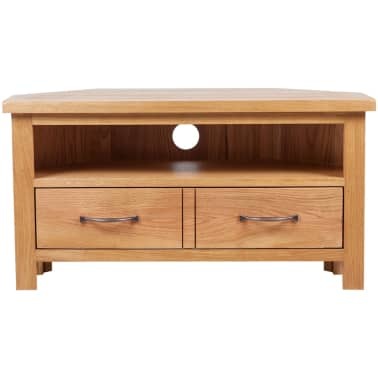 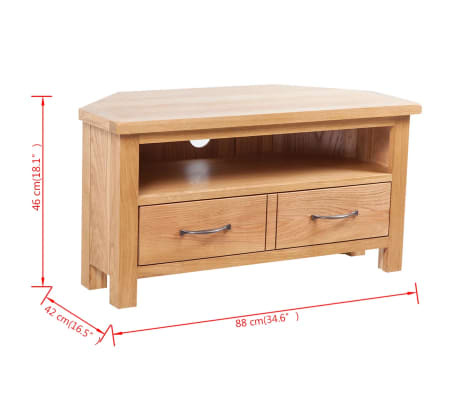 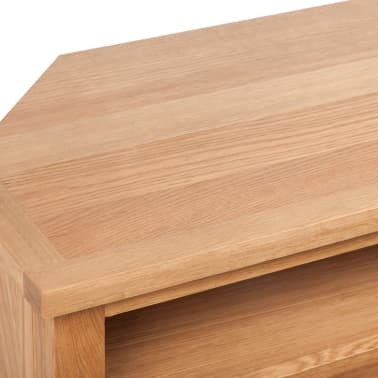 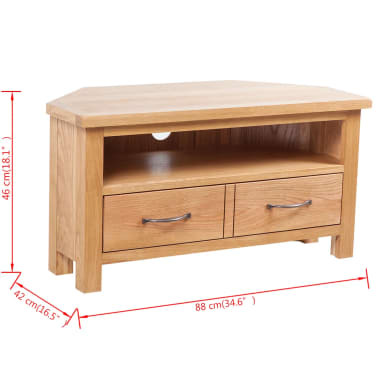 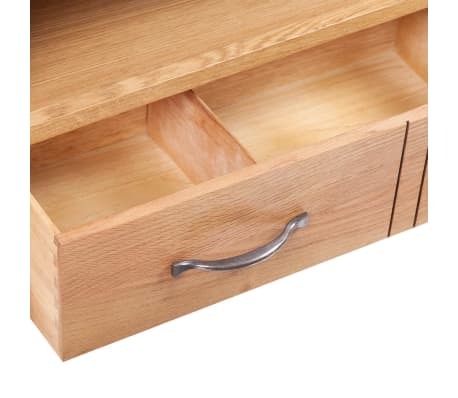 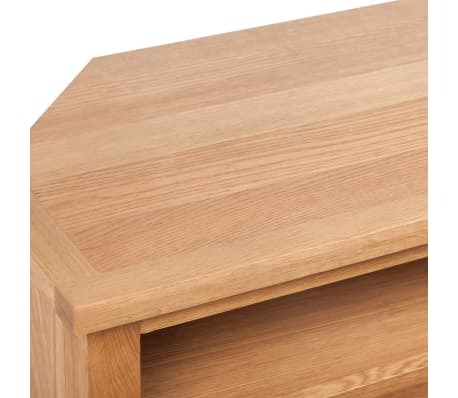 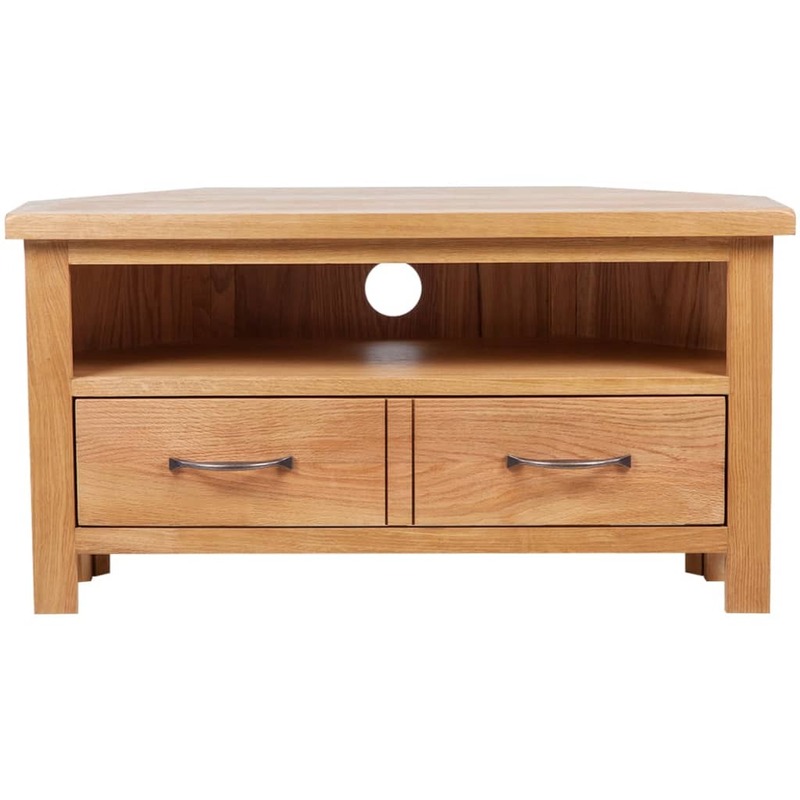 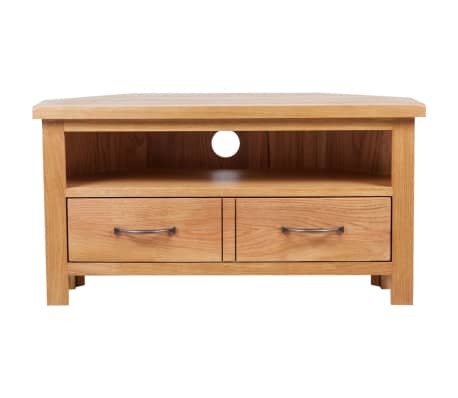 This TV cabinet is expertly crafted from durable solid oak and highly functional. 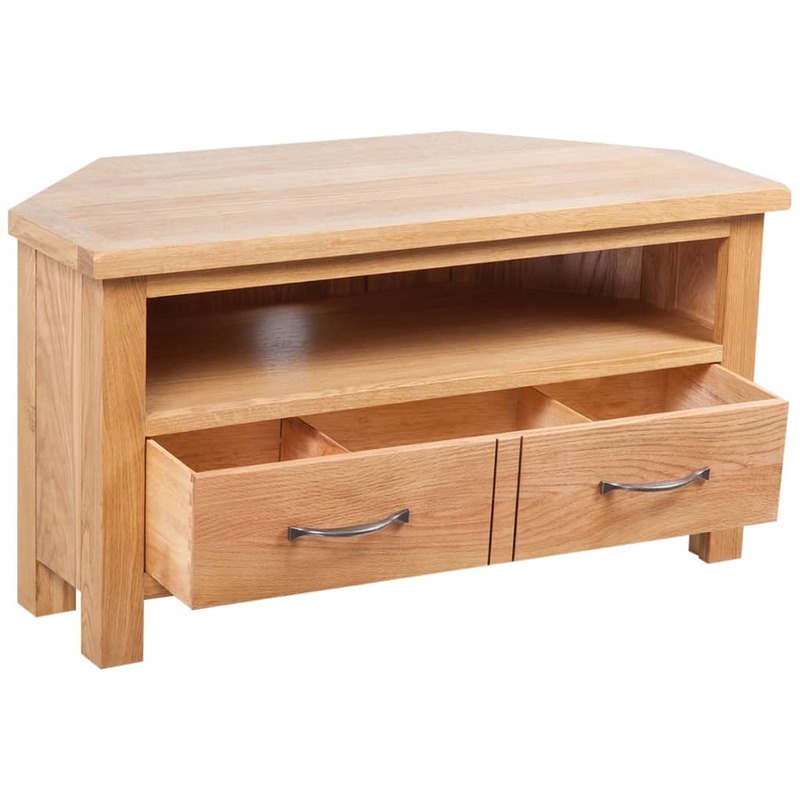 It features a drawer with two compartments for knick-knacks and a shelf for media players or gaming consoles and surround sound systems. 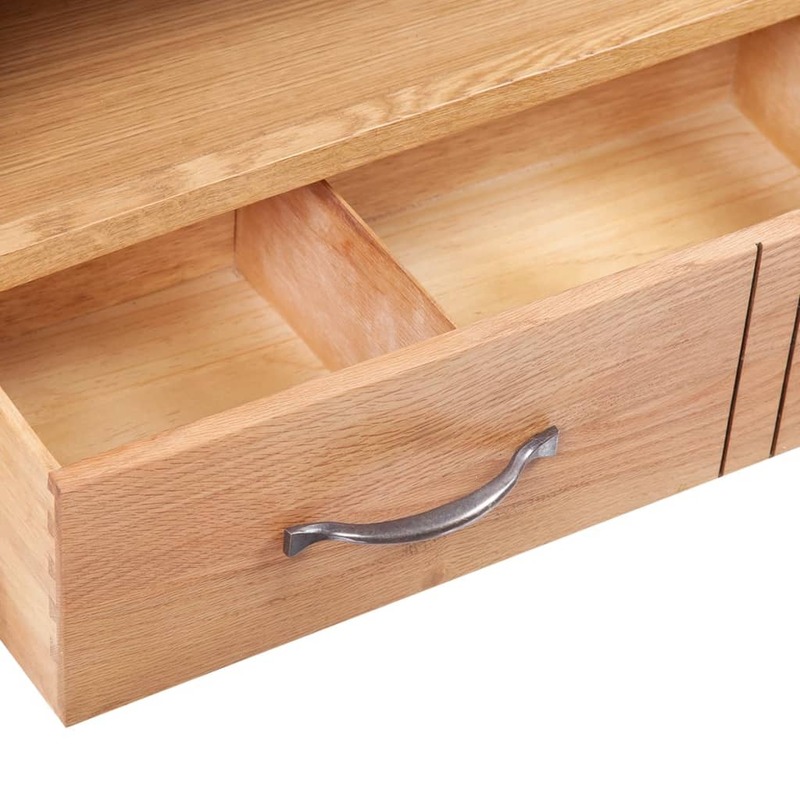 A convenient cable outlet allows you to neatly keep all wires out of sight. vidaXL Oak Coffee Table 34.6"x20.9"x17.7"